“Got. Need. Got. Got. Got. Need. Got. OH NEED! OH MY GOD NEED!” and “The Man Utd foil badge is the hardest one to get” are a couple of lines that may resonate with those of you old enough to have been right there amongst it in the school playgrounds of the 70’s, 80’s and 90’s. Long before spotty oiks with YouTube and Twitch channels screamed blue murderous delight at opening a loot crate or an EA Sports card pack for a reaction video, there was the humble card or sticker collection. Here in Europe, the market was lead by card and sticker super behemoths Merlin and Panini. US ultra leviathans Topps and Fleer really paled in comparison this side of the pond (somewhat ironically Topps would later acquire Merlin Publishing in 1995 and ultimately drop the Merlin name from products outside the USA to become Topps Europe in 2008). However, while Panini and Merlin would dominate across Europe, spreading eastwards, there was some real innovation going on in the United States, specifically at Topps. Topps would bring the future of card collecting to market. They did so 28 years ago, in 1989. Baseball cards. A phenomenon that has consumed the wonder of more ages than the Turin Shroud. Many have attempted, and failed, to topple this giant of the collectable pulp industry. All have failed. In 1989, during the height of the steroid era and with baseball card collecting coming off of somewhat of a peak, Topps would unleash a new product to market. A product so new, so different (at the time of writing I have not found a true equivalent) and so ahead of it’s time that I truly believe it changed trading card and sticker collecting forever. Just not right away. I’ll come to that later. Topps would partner with renowned toy manufacturer LJN of New York to develop a true, next generation collectible sports card. 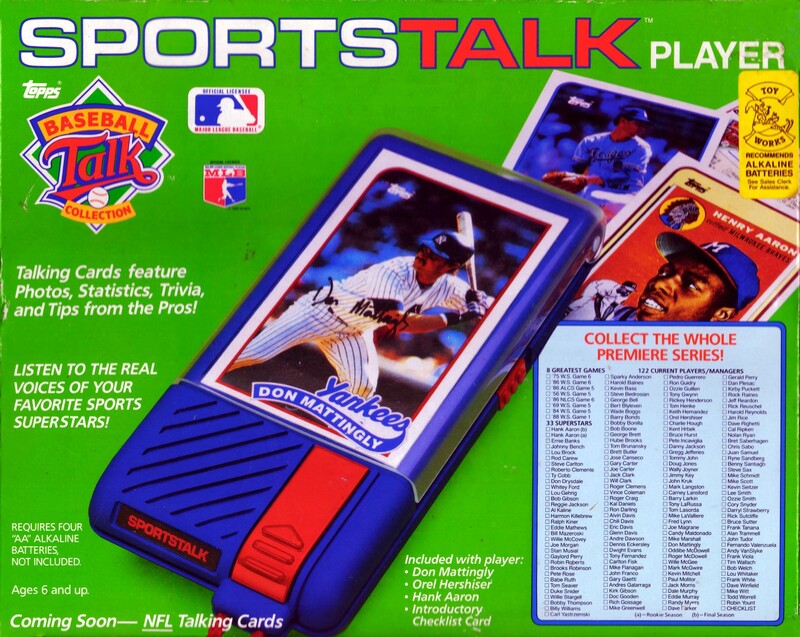 The result was the Sports Talk Player released in 1989 to coincide with the start of the baseball season that year. The first cards to market were known as Baseball Talk cards. Of which 164 cards were produced depicting a range of top players past and present as well as a handful of historic moments in baseball. The gimmick? 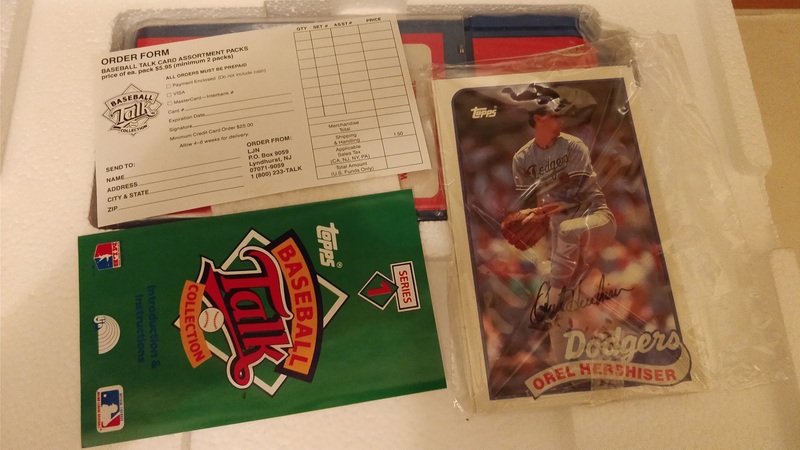 LJN had produced oversized baseball cards that included a small flexi disc record attached to the back of them. With the companion player, a card could be placed inside, a switch flicked and 2 to 3 minutes of audio would commence playback. This was truly innovative and something I don’t think had been seen before. We poor souls in Europe certainly never got to see it at least. 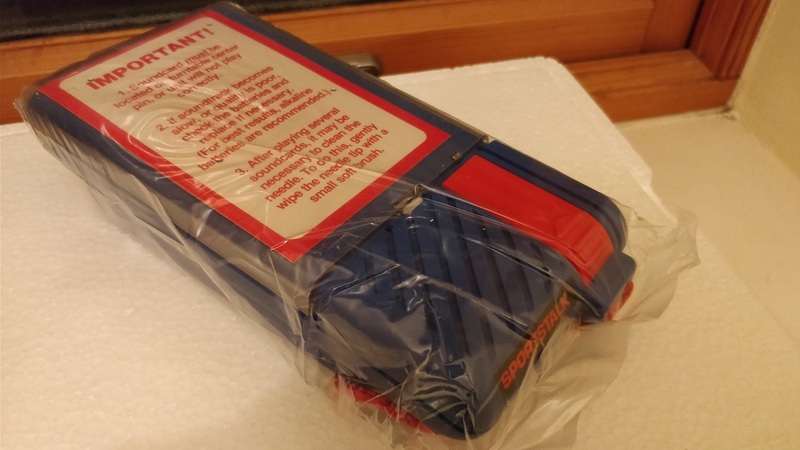 Topps had plans to release cards for both NFL and and NBA sports (an announcement for NFL cards was even added to the packaging of the player device). Sadly just the one series of baseball cards was released before the project was scrapped. The project was doomed. An utter failure. But why? Talk The Talk. Baseball Talk. The technology behind the player device would appear to originate from Japan. Specifically a range of devices by National called Sopic and Panapic. Both of these devices housed a microscopically small turntable with a standard stylus. The premise behind them was to play lyrics from songs or a mix of educational and children’s stories from flexi discs embedded on to the pages of miscellaneous books. Popular tech website Techmoan has covered the Panapic in great detail if you would like to know more. The Topps Sports Talk Player was (as far as I know at the time of writing) the first, and only device of it’s kind in the collectable trading card market. Unfortunately the technology proved to be extremely unreliable and like all good things ahead of their time it was misunderstood and suffered the shortest of lifespans. 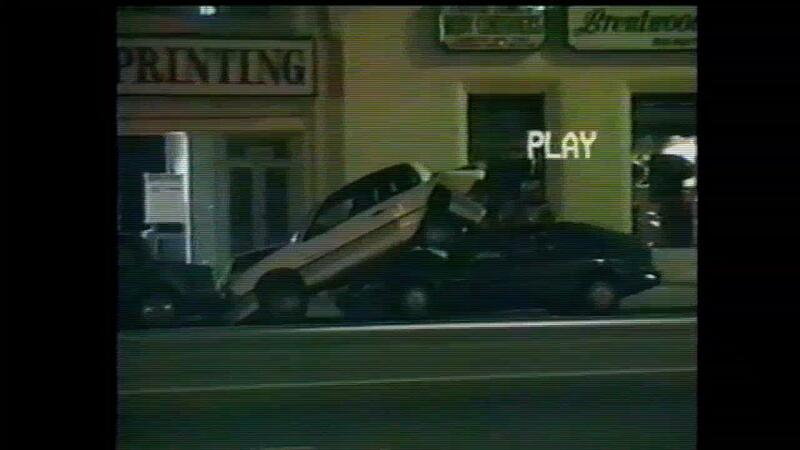 Parents complained frequently of breakages, problematic playback and just general fragility issues. A huge number of players were returned to stores leading to a long spell of life in the bargain bin and ultimately to the entire project being scrapped (hence the NFL cards mentioned on the box never saw the light of day). To be honest, how long do you think a sensitive turntable mechanism would last in the hands of eager and excitable card-collecting children? I can’t help but feel a bit, well, a bit empty about the entire project. Here was this fantastic miniature turntable that, granted, was a tad fragile but offered such great promise. Yet at the first hurdle it fell, and instead of helping it up, telling it everything will be okay and nursing it back to health, Topps simply dragged it off the racecourse straight to the knackers yard and fired a bullet in it’s head. What a shame. The player in my collection does raise an eyebrow though. On the back, just above the battery compartment is a note that this particular player is a revised model. Now that does get me wondering as I cannot find any trace of a revised edition mentioned anywhere. Quite what had changed in the design I am unsure. The turntable mechanism certainly looks the same. Maybe the battery compartment dimensions were changed? If you know, please let me know in the comments below. Baseball Talk was not to be the last attempt at a talking baseball card, in fact it wasn’t even the first attempt! What came before (in fact a year earlier from Parker Bros) was in some ways far more ambitious, and certainly more aesthetically pleasing. 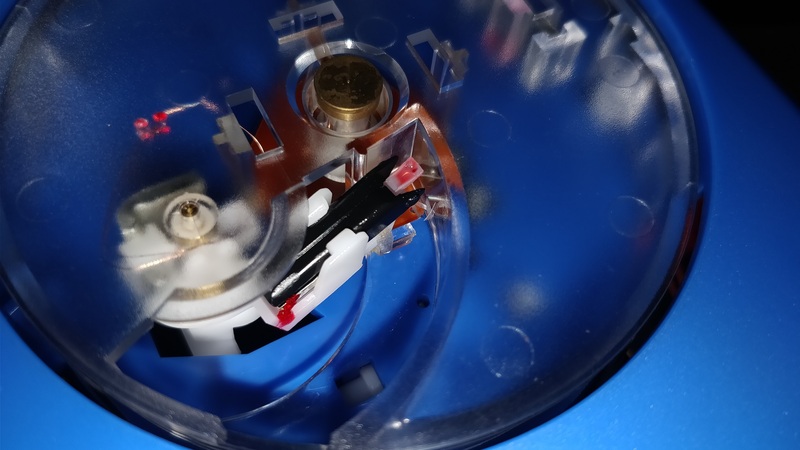 The likes of a miniature turntable specifically for collectable card playback will never be seen again that is for sure. The Parker Bros went to market with a cartridge-based audio format and launched Starting Lineup Talking Baseball in 1988. Presentation was lavish. A giant, injection moulded stadium would house a couple of specially designed audio cartridges containing audio for each of the 26 players of a specific team. I cannot find any statistics that suggest what measure of success this toy achieved but on the face of it it really isn’t in the same league as what Topps had. 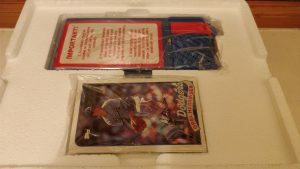 A pure, all out baseball card collection with audio on each individual card. For all intents and purposes this is more of a game than a collection kit. There is no evidence with regards reliability either aside from the fact the only thing that appears to have survived are the cards, which contain no audio. Stadiums and cartridges appear thin on the ground to, well, non-existent. I’d say the Sports Talk Player is the winner out of these two. What followed? What of the future? Well, the future was not exactly filled with innovation and the reinvention of the wheel when it came to talking collectable cards. Around the turn of the millennium there were a few souvenir cards on the market that (thanks to advances in technology) featured an embedded ‘voice chip’ that housed the audio. Other than that nothing has ever really come to market since. Which I do think is a bit of a shame. These days children are happy to pay for a card or sticker that doesn’t even physically exist! It is quite saddening to see that as the popularity of digital cards and trading swallows a larger share of the market year on year, that the excitement and those words “Got. Need. Got. Need.” ringing out across the school playground have faded to a whisper and will soon peter out altogether. Just another memory of how things were, like Victorian children playing with hula hoops and spinning tops, the humble card and sticker collection will become lost in the annals of history. Previous Previous post: SF Challenge Game. The rarest Laserdisc I’ve come (M)across. 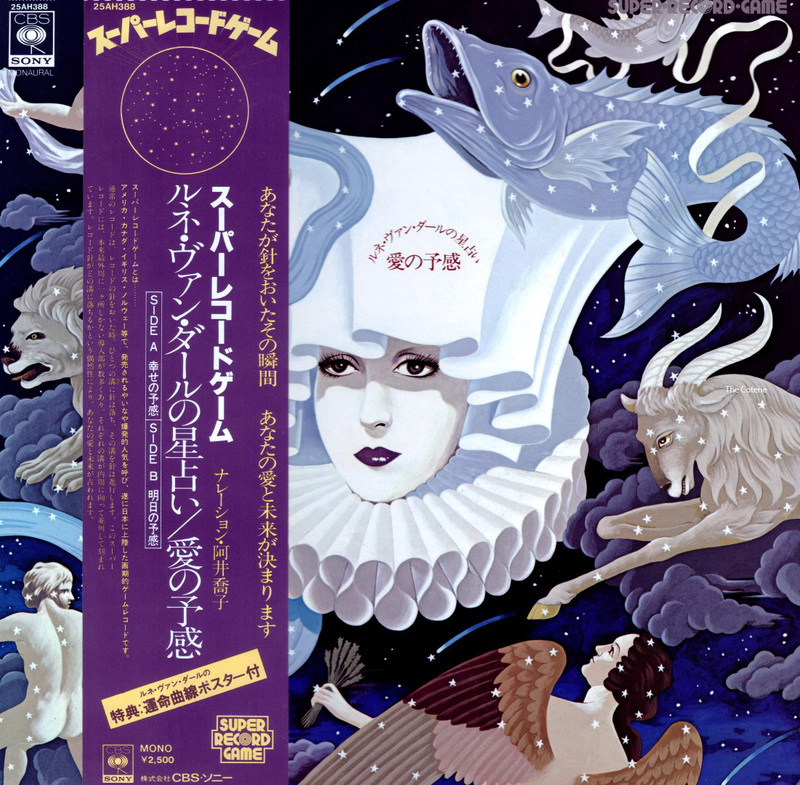 Next Next post: Jet fighters, Curiosity Killed The Cat and the curious world of the Laserdisc single.